What are these for? I see these markers in various different guises at most stations. Sometimes the shape or colour varies. In this instance the markers manifested themselves in large white boxes at regular intervals along the platform at King’s Cross on the Eastbound Circle Line. Near the front of the train one particular white box was also accompanied by a yellow diamond (as seen bellow). 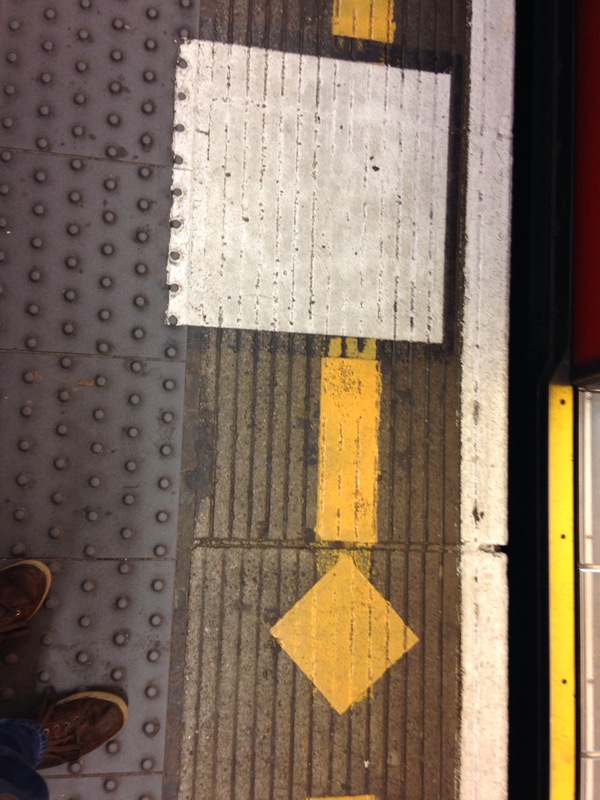 The white square is used to mark where to stand for different station roles and gives views of signals and the yellow diamond is used to calibrate the cctv to make sure it has complete visibility of the platform and train.